You may not have ever seen a capuchin monkey. 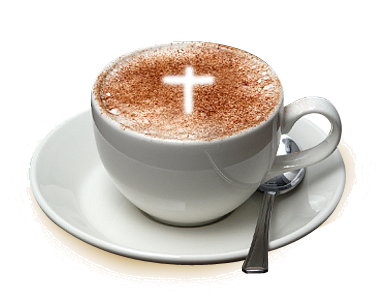 But at some time in your life you have probably had a cappuccino. 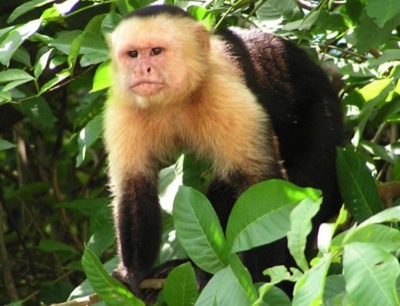 Do you know what a Capuchin is? the Capuchin Friars Minor (OFM Cap.). Each has its own organisation and legal structure, but all share St. Francis as their founding father and source of inspiration. At present there are about 10,500 Capuchins throughout the world, in 106 countries and on all continents, except (so far!) Antarctica. They are organised into "provinces, each with its own elected superior – called "minister" (meaning servant, to avoid any misunderstandings anyone might have about the role of leadership according to the Gospel — Luke 22:26–27). Where the number of friars is small they may form a "vice-province", a "custody" or a "delegation", dependent on a province or else on the central authority of the Order. The central over-all authority is based in Rome and consists of a General Minister and his "definitory" or council. At present, our General Minister is Br. Roberto Genuine from Italy. St. Francis's basic "Rule" was "to live the Gospel", following the example of the "poor and humble Christ." Even in his own lifetime there were differences of opinion as to how this should best be done. Some saw the importance of theological formation, which meant that stable communities and access to books were required; others favoured a less organised and more mobile life-style. St. Francis himself seems to have foreseen this, for he told his friars: "I have done what it was mine to do: may Christ show you yours." He did not wish to put shackles on any initiative of the Holy Spirit and in principle recognised the importance of flexibility. In a letter to Brother Leo, one of his closest companions, Francis wrote: "In whatever way it seems better to you to please the Lord God and to follow His footprints and poverty, you may do it with the blessing of God and my obedience (i.e. permission)." Soon two main branches emerged: the "Conventual" Franciscans who lived in stable communities (convents"); and the "Observant Franciscans" who tried to live in a way closer to that of the first companions of St. Francis — as they understood it. The Capuchin branch of the Franciscans had its beginnings when Matteo da Bascio, an Observant Franciscan became dissatisfied with the way the Rule of St. Francis was being observed and left his community to live as a hermit. Then, early in 1525, he left his hermitage and began travelling about preaching penance. In November of that year, he was joined by two brothers, Ludovico and Raffaele Tenaglia, from Fossombrone. They were forced to go into hiding, because the Church and the civil authorities tried to have them arrested for deserting their religious community. Wandering vagabonds were not popular! After many adventures they found refuge with Camaldolese hermits, with whom they stayed for some time. They borrowed from the hermits the habit with the long pointed hood (capuce) which gave rise to the name "Capuchin". At first it was a humourous nickname, but later it became the name by which they were universally known. The chestnut husks used to dye the cloth gave it a distinctive russet brown colour, and it was because their colour so resembled the Capuchin habit that the famous coffee and the equally famous monkey got their name. In 1528, the Capuchins received the approval of Pope Clement VII for their way of life and were recognised as a congregation, at first dependent on the General superior of the Conventuals, and later (from 1619) as an independent Order. In the meantime large numbers flocked to join them, some from the Observant communities, some as novices. Matteo da Bascio himself, however, returned to the Observants, though he continued to live as a wandering preacher. But the Capuchins continued to grow in number. At first they were restricted to Italy, but after 1574 they were allowed to spread to the rest of Europe, which they quickly did. Preaching, especially the preaching of repentance. Matthew of Bascio started out as a wandering preacher, and after his return to the Observants continued in this apostolate until his death. In the Catholic so-called "Counter-Reformation", Capuchin preachers such as Lawrence of Brindisi (1559–1619) and Fidelis of Sigmaringen (1577–1622) were responsible for winning back to the Church great numbers of people who had been alienated from it. Service of the sick, especially those afflicted with plague: Matthew da Bascio in 1523, And Ludovico and Raphael of Fossombrone in 1527-1528, won the respect of a great number of people for their service of the sick during outbreaks of plague in the Camerino area. The 1536 Constitutions made this service a matter of obligation for the friars. And though this obligation was omitted from later versions of the Constitutions, service of the sick, especially in times of plague, became a Capuchin "thing". In the sixteenth and seventeenth centuries, more than 2,000 Capuchins gave their lives in caring for plague victims. Service of the Poor: From the beginning, the Capuchins were devoted to the service of the poor, not simply helping them with alms, but defending them against injustice. Many were outspoken preachers of social justice. Along with other Franciscans, the Capuchins helped to pioneer the montes pietatis, fore-runners of the modern credit unions, which provided interest free loans to those in need, and helped them to break free from the clutches of money-lenders or "loan sharks", who then (as now) enslave people in an endless cycle of indebtedness. Public service in time of disaster: In France, the Capuchins served as fire-fighters, (in Paris, 1616-1744; in St. Malo, 1714; in Alençon, 1744; in Le Havre, 1759). In Rouen, the fire station was known as la capucine. But as time went on, the Capuchins seem to have turned their hands to everything: teaching; evangelisation (e.g. from 1645 in the Kingdom of Kongo, that is, the northern part of modern Angola and the lower Congo river), and in Ethiopia; even diplomatic and peace-making missions. (Most famous of Capuchin diplomats was probably Joseph Tremblay du Paris, Cardinal Richelieu's right-hand man, the so-called "éminence grise"). Whatever needed to be done, the Capuchins were prepared to do it. In the almost half a millennium of their existence, it is remarkable that the priorities seem to have remained very much the same. To read about the Capuchins in Ireland, Click Here.